It seems if you want to play for Australia then get yourself up to White Post Road for a summer and you may have a better chance! Kurtis Patterson will become the second overseas player to have plied their trade at Banbury to play for Australia when he makes his Test debut at the Gabba on Thursday to face Sri Lanka in the first Test of the two-match series. Patterson’s captain will be Tim Paine who, like the New South Wales Blues batsman, also played for Banbury in 2015. 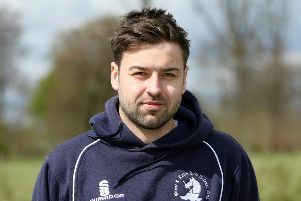 The 25-year-old Patterson played for Banbury the following year in the Home Counties Premier Cricket League. 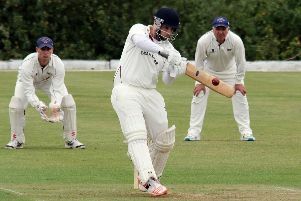 In just the nine innings he was available for at Banbury, after being called home early for the Australia A series against India A in 2016, Patterson scored 535 runs at an average of 76.43, including a match-winning knock of 142 against Tring at White Post Road. Patterson scored a couple of centuries for a Cricket Australia XI in two matches against Sri Lanka last week which helped get him get his call-up. Ed Phillips, who played with Patterson in 2016, said: “Kurtis had a tough act to follow after Tim Paine’s 836 runs in 15 innings at an average of 76.00 the previous year. “Although a different character, he had the same outstanding work ethic and didn’t let Tim’s impressive record deter him. Kurtis fitted in to the changing room and club hand in glove. “Kurtis worked incredibly hard on all aspects of his cricket and really drove the teams fielding both in games and in practice. He’s an incredibly hard working and dedicated sportsman who deserves very success that comes his way.